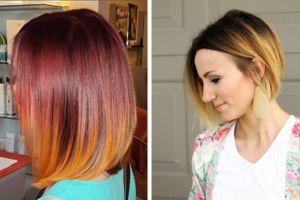 Welcome this summer with one of these bright and bouncy short haircuts. 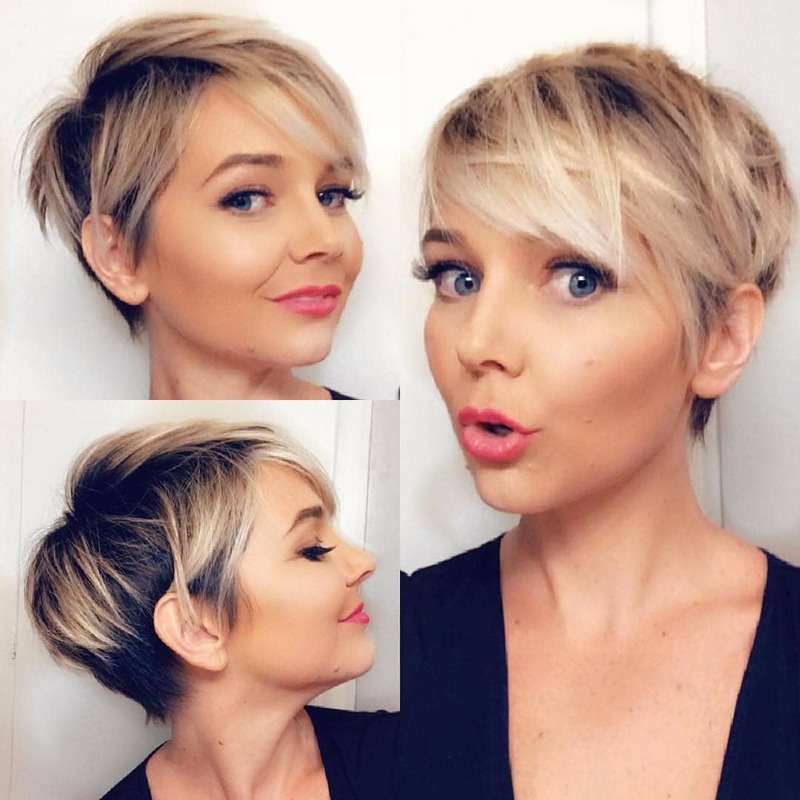 All of these short hairstyles are trendy, flattering, manageable, and guaranteed to keep you cool even on the hottest summer days. This bleached pixie cut is bright and fun without looking too overwhelming. 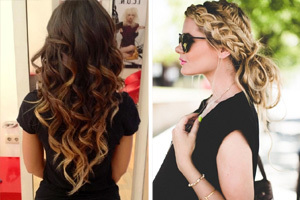 Its darker roots and lowlights help this style look more natural and make its grow-out process smoother. Piece-y, textured bangs add dimension to this cut and frame and flatter your face. Shorter layers in back keep you cool in hot weather and make daily styling effortless, while longer forward-swept layers in front add interest and femininity to this style. If you have fine hair, it can be difficult to pull off a layered pixie cut. 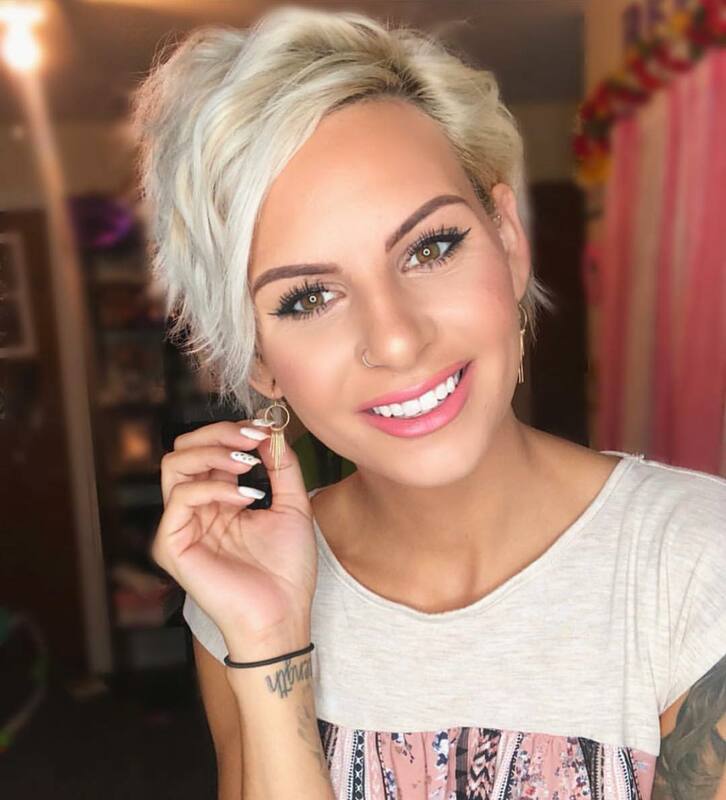 This gorgeous, bold pixie style is the perfect solution for women with thin and fine hair types. 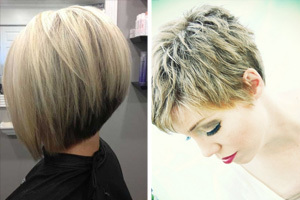 The contrast between this pixie’s dark bottom layers and bleached bangs and ends creates the illusion of more volume. Its long layers on top and angled sideswept bangs add texture and dimension to this style. The asymmetrical style of this pixie cut is bold, flattering, and helps keep you cool in the summer heat. Its cropped layers in back give its a bold edge, while its longer layers in front frame your face and flatter your features. 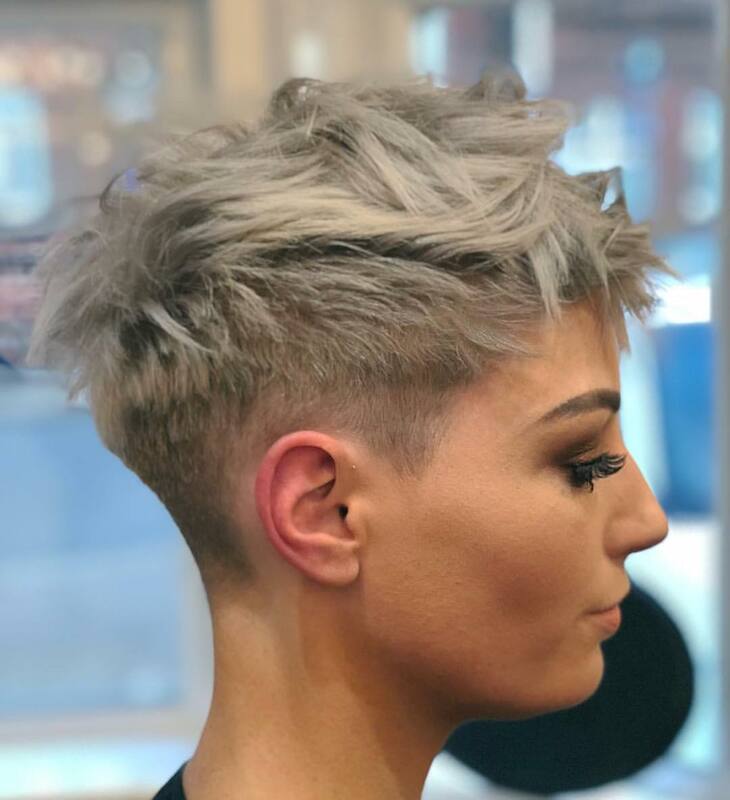 Relaxed curls add volume and femininity to this pixie. The lilac highlights in this bleached pixie are very subtle, but they add a fun, lighthearted vibe to this style that’s perfect for summer. 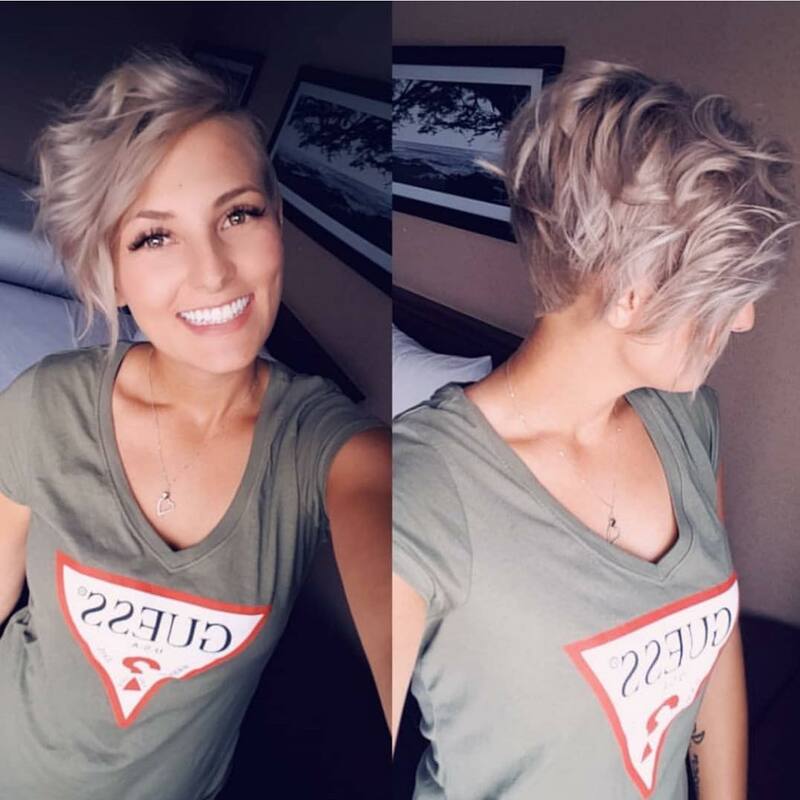 This long, layered pixie gives you the refreshing feeling of a short cut in the summer without making you feel like you don’t have any hair left. Its long front layers frame your face, so this style is flattering for almost any face shape. 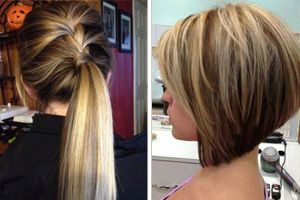 Plus, these layers are long enough to tuck behind your ears for easy styling or just to get your hair out of your face. 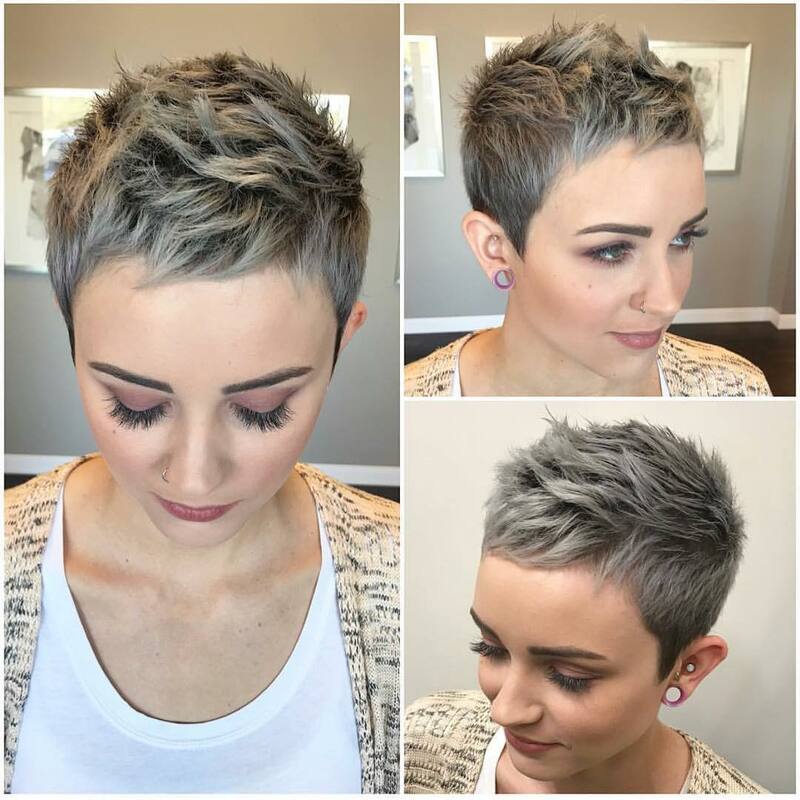 The unique gray tone of this short pixie is trendy and flattering for a wide range of skin tones. Its layers are cropped close, making this pixie style refreshing and ultra-manageable. Its mini bangs, spiky style, and carved hairline give it dimension and volume and draw attention to both your hair and your face. Rock the trendy buzzed style with this bleached undercut pixie. It is virtually shaved around the back and sides of your head for a bold finish that also keeps your neck and shoulders cool and dry in hot weather. 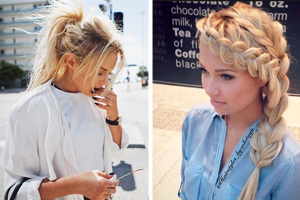 The white blonde tone of this pixie adds to its daring style. 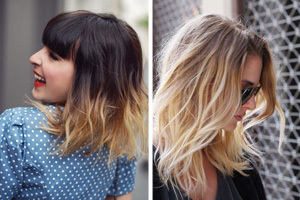 Longer, tousled layers in front and on top add a feminine finish that balances out the edginess of this cut. 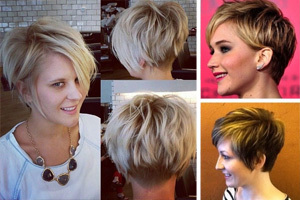 This bleached pixie cut shows just how transformative a color change can be for your hairstyle. 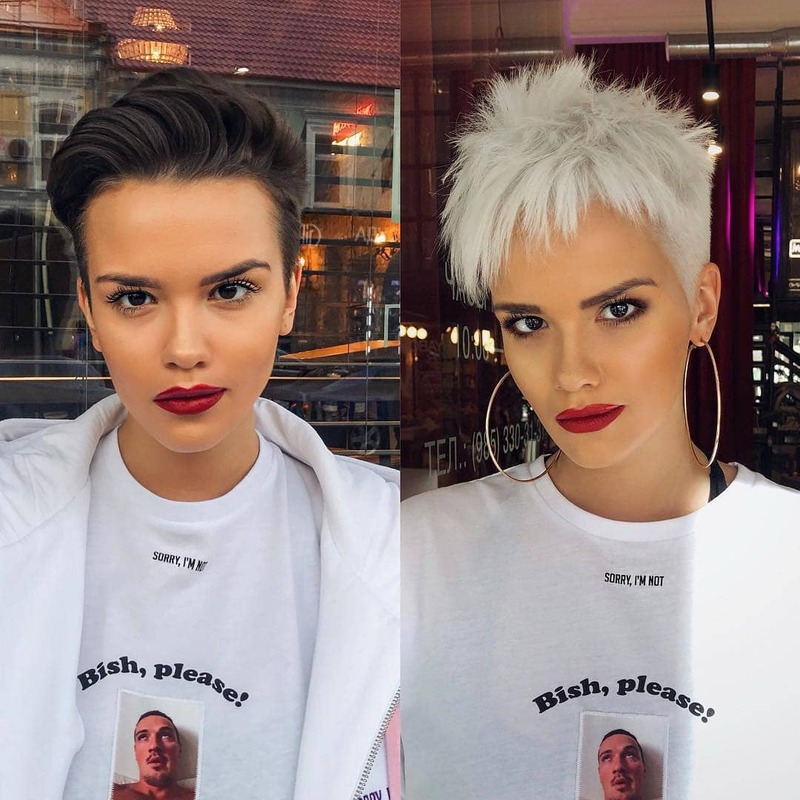 If you already have short hair but want to switch up your style, you can still make a drastic change for the summer with a little bit of bleach. 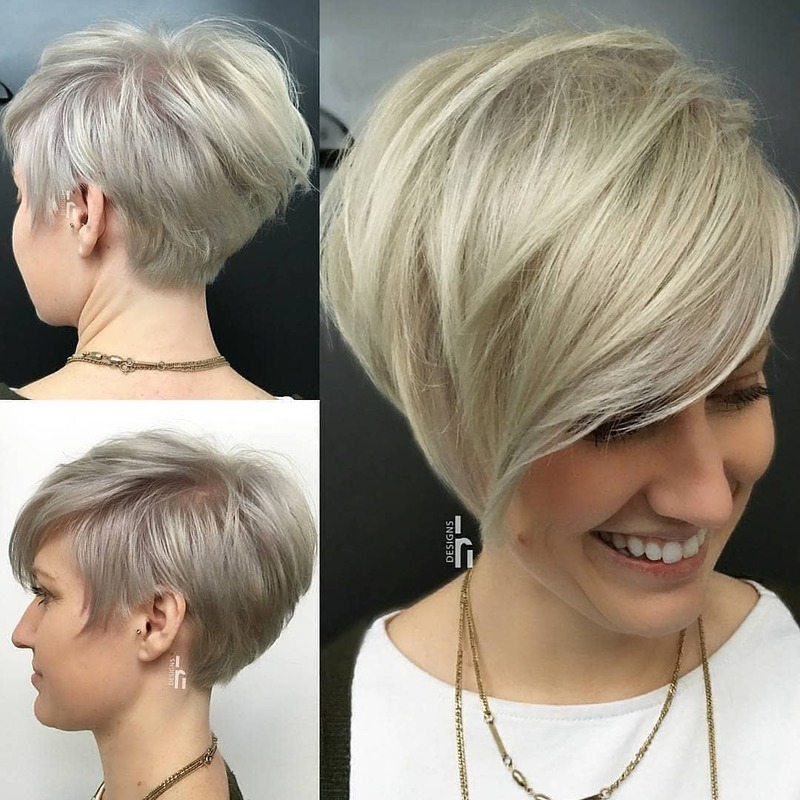 The short, spiky layers of this pixie cut are bold to match its shocking white blonde tone. If you want a short hairstyle that looks polished and professional, try this sleek white blonde pixie cut. 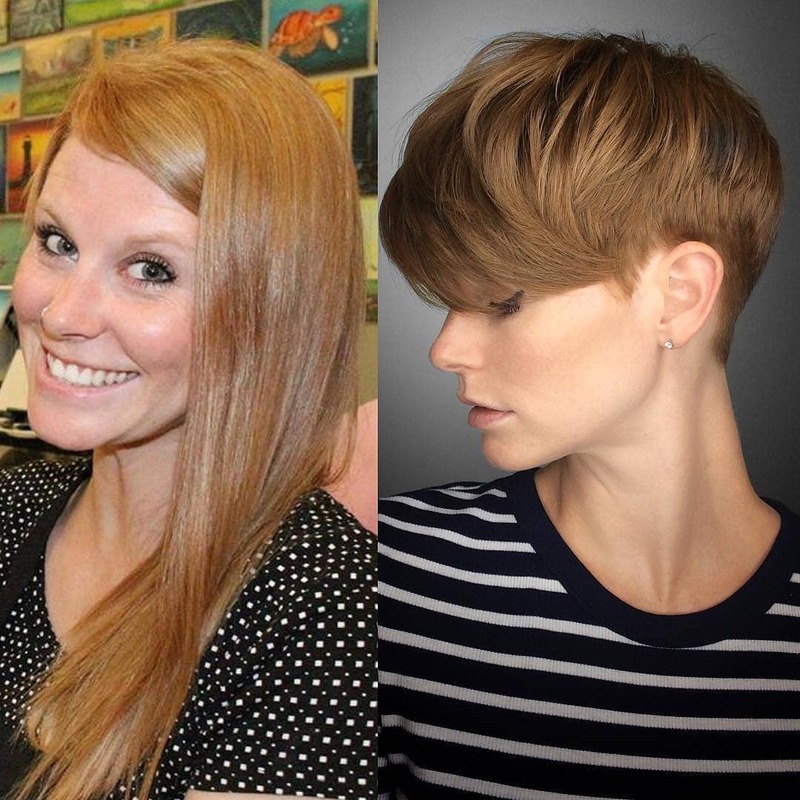 Longer layers and sideswept bangs give this pixie an ultra-smooth finish. Its solid, white blonde color adds to its streamlined style. This smooth, polished short hairstyle is very versatile, manageable, and complements almost any hair type. 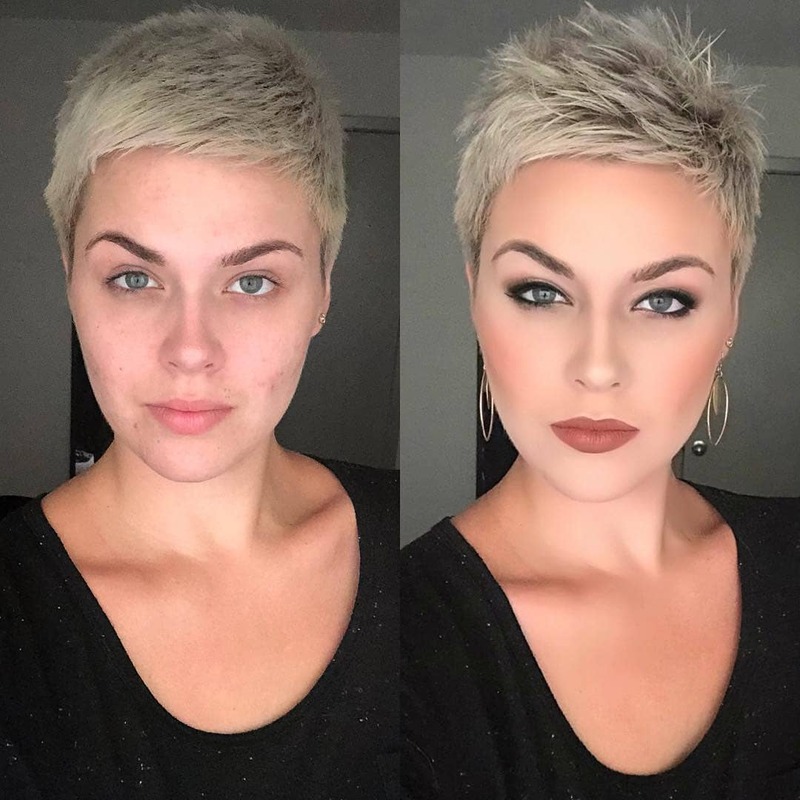 This pixie cut is unique all around. Its ginger tone proves that you don’t have to stray from your natural hair color to pull off a bright, summer-y pixie cut. The cropped layers at the back of this pixie help you stay cool in hot and humid weather. Its short, blunt sideswept bangs add to its unique style and manageability for quick and easy daily styling. Go bold with this cropped bleached pixie. Its super-short layers are effortless to manage and define your hairline to draw attention to flatter your face shape and draw more attention to your features. 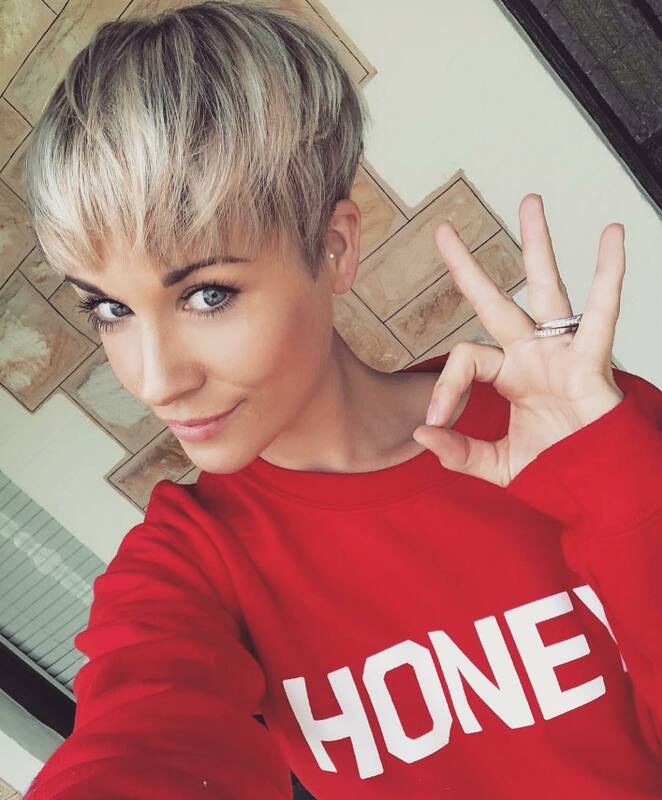 The unique cool blonde tone of this pixie helps your roots grow in more smoothly, so you don’t have to worry about rushing off to the salon for a bleaching touch-up every week.